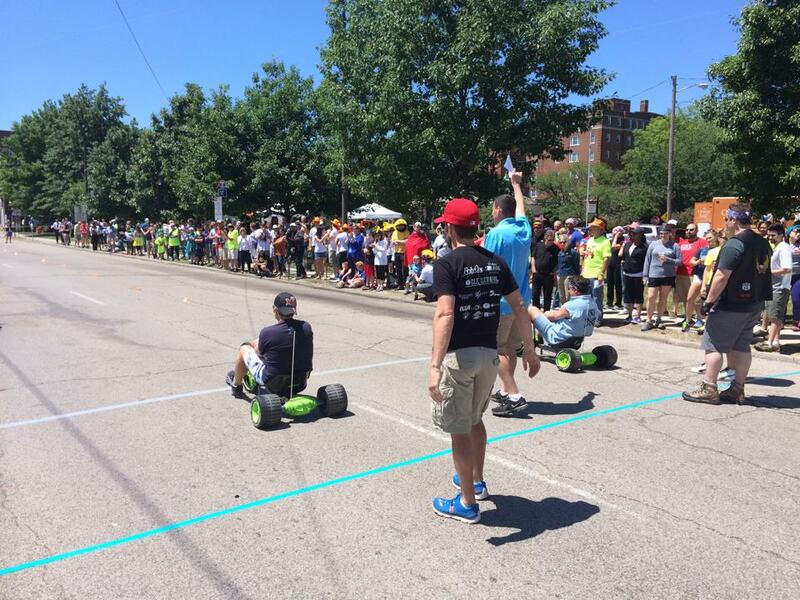 Registration is Officially Open for the 2015 Cleveland Big Wheel Relay! We know you’ve been waiting at the edge of your seats since the race was over last year … well wait no more! Registration is now open for our 3rd Annual Cleveland Big Wheel Relay! There is no fundraising/fee obligation at this point in time – just gather your 4 team members’ names, email addresses and t-shirt sizes, and fill out the registration form to reserve your team spot. We’ll email your team captain back by the end of March with instructions on how to set up your team fundraising page. The minimum fundraising goal for this year will be $300, as it was last year. Make sure to push your team above and beyond, because the top fundraising team gets a special prize. Last year we had 4 teams over $1,000 and one team over $2,000! As always, team spots are limited! We cap our event at 32 teams, so act quickly! If you have any questions, please feel free to reach out to clevelandbigwheelrelay@gmail.com. We hope to see you out on the track!! Next Next post: Meet Aaron – a CHSC success story!